In studying anatomy, one resource is never sufficient. 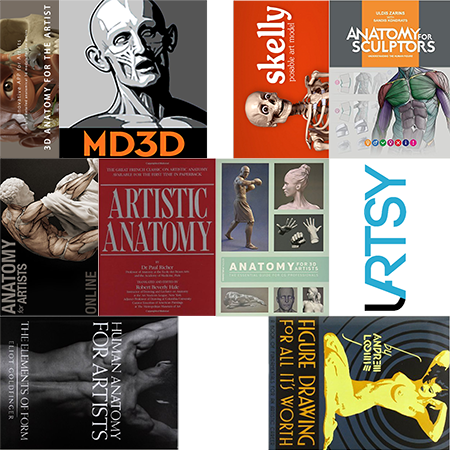 Every teacher, author and software developer has a different approach to anatomy. Combining these approaches gives the artist a full appreciation of the complexity and sophistication of the human figure. Here are 10 Apps, Books and Courses that provide the A-B-Cs for learning human anatomy. In this 8 week course, Scott Eaton goes in depth to describe every muscle and bone that has an affect on the surface anatomy of the human body. 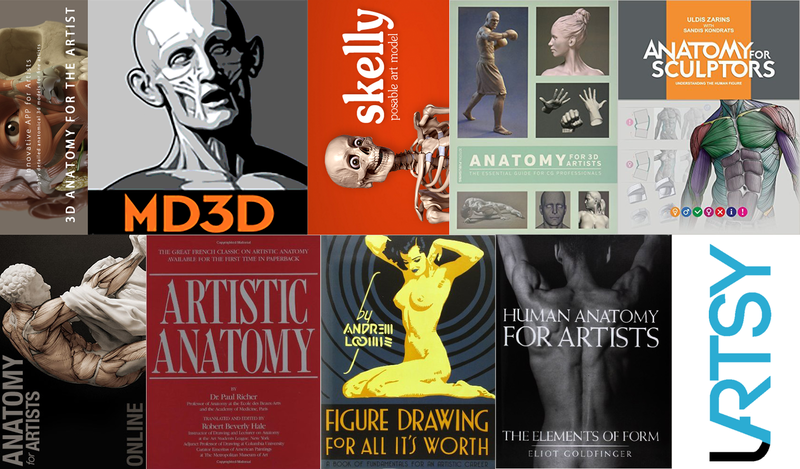 Scott has a background in both engineering and art and applies his knowledge in both fields to effectively teach anatomy for artists. He explains step by step each portion of the human body beginning with the axial skeleton (head and torso) and moving out to the appendicular skeleton (arms and legs). He also points out common anatomical mistakes made by artists in his “Gallery abominate”. This course is expensive, especially in Canadian dollars :), but it is definitely worth every penny. Students have the option of full enrolment with feedback directly from Eaton or standard enrolment with no feedback. This book is the granddaddy of all art anatomy books and is still a useful resource despite being over 125 years old! Translated from French to English in 1971, the book gives detailed illustrations of the muscles and bones relevant for artists. All illustrations are done without perspective to make clear the relationships between body parts. This book is unique in that is has both clear illustrations of the muscles and bones alongside photos from life. There is also a section on facial expression. In many ways it is improvement over Dr. Richer’s book. Developed by Catfish Animation Studio, This app is as close to real life dissection as possible. Users can view all the muscles and peel each one off to view the relationships between them. I find this app extremely useful for studying arm and leg anatomy and seeing how the muscles twist around the ulna and radius (forearm) or the tibia and fibula (lower leg). 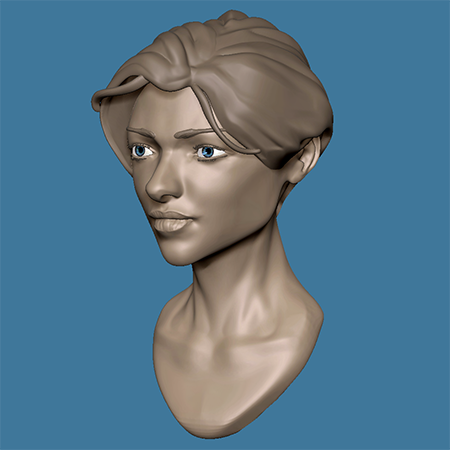 Developed by Michael Defoe and Scott Eaton, this 3D app is based upon the original L’écorché sculpture by the French artist Jean-Antoine Houdon (completed in 1767). Updated with modern discoveries of human anatomy, this is mostly faithful to the original sculpture and gives a good overview of surface anatomy that can be viewed as a whole figure or in parts. 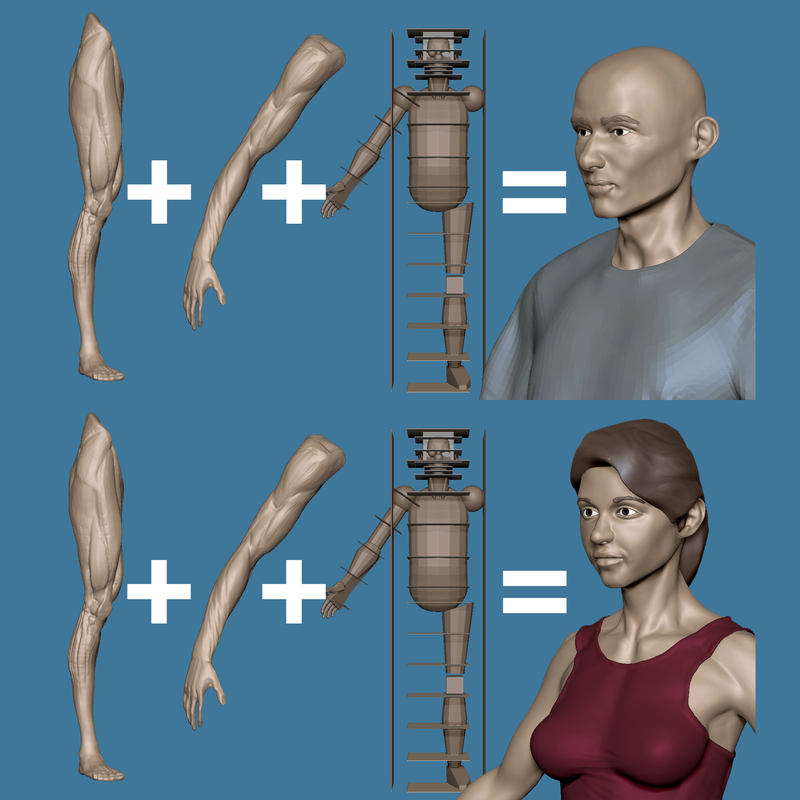 Great examples of how to construct the human figure in 3D software. This book is also useful for demonstrating the insertions and origins for muscles in various poses. This is one of the few resources that give equal time to describing female and male anatomy. This book focuses mainly on illustrations of the human form from many different views. There is little commentary or description. In some ways this has advantages over other anatomy books in that the artists can avoid being distracted by words. Sometimes descriptions are required however, that is why the other resources on this list are still essential. Stan Prokopenko has a playful approach to studying human anatomy. He goes in depth with describing the origins and insertions of muscles with the help of his 3d animated sidekick, Skelly. With the Skelly App, artists can experiment with posing the skeleton. He encourages artists to practice drawing muscles over the skeleton to improve their understanding. Kingslein and his collaborators offer various courses for learning anatomy and applying that knowledge to drawing and sculpture.